I spy with my little eye… a married couple in love! Okay, kids aren’t the best photographer. But, who knows? Maybe they take an unusually great shot of your wedding day. You’re gonna appreciate that. 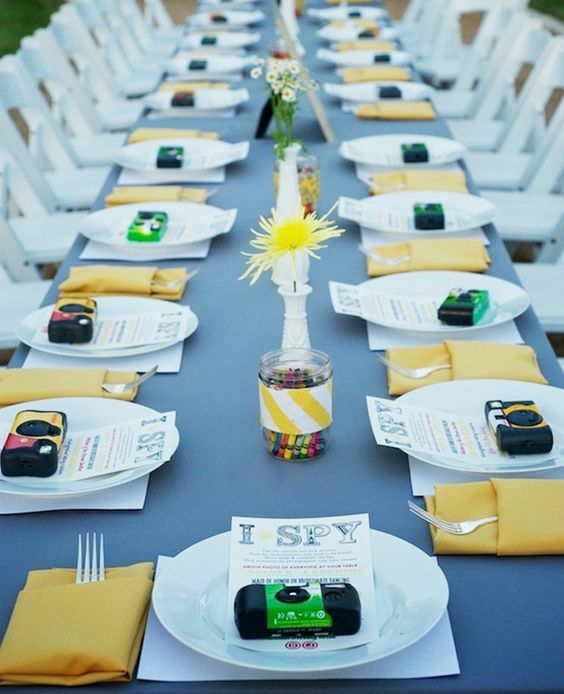 Place some disposable cameras where the kids are going to sit and have them take a bunch of photos through the day. You can even organise a little scavenger hunt for them; how many photos of dancing couples can they take, how many different people will toast to you etc.